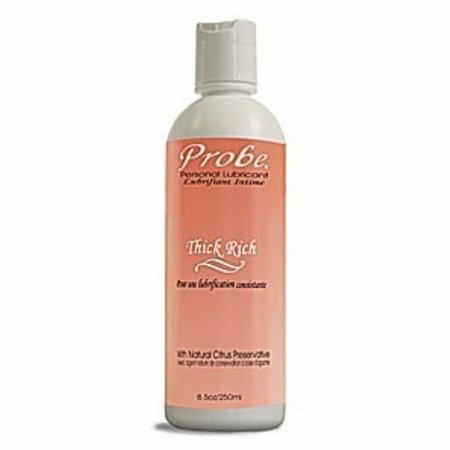 Probe Personal Lubricant is a water-based, water-soluble personal lubricant made of three ingredients dissolved in deionized water. It is condom compatible and safe for vaginal, oral, and rectal use. It is a colorless, translucent fluid with very slight taste and odor. Probe lubricant contains no perfumes or colorants. The Thick Rich formula is designed to mimic cisgender women's fertile mucous & provide a thick, substantial layer of lubrication between skin surfaces.